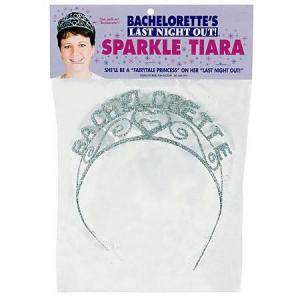 Bachelorette Sparkle Tiara GE157. 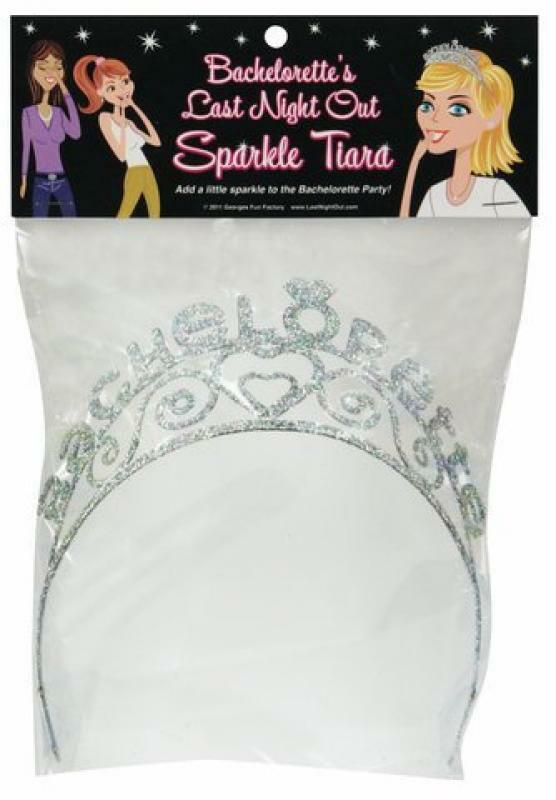 What girl wouldn't want to wear this elegant tiara on her last night out? 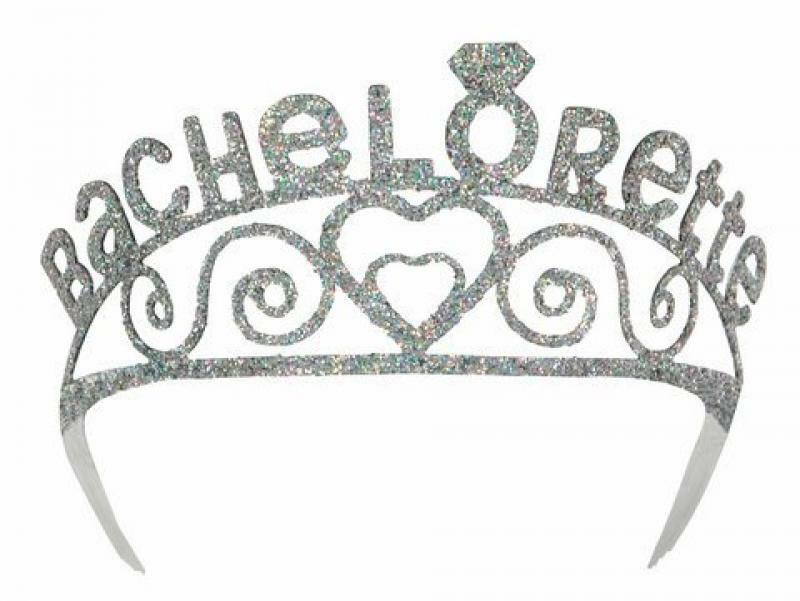 Sturdy metal tiara with built-in hair combs and a sparkle finish that spells out Bachelorette in decorative script. 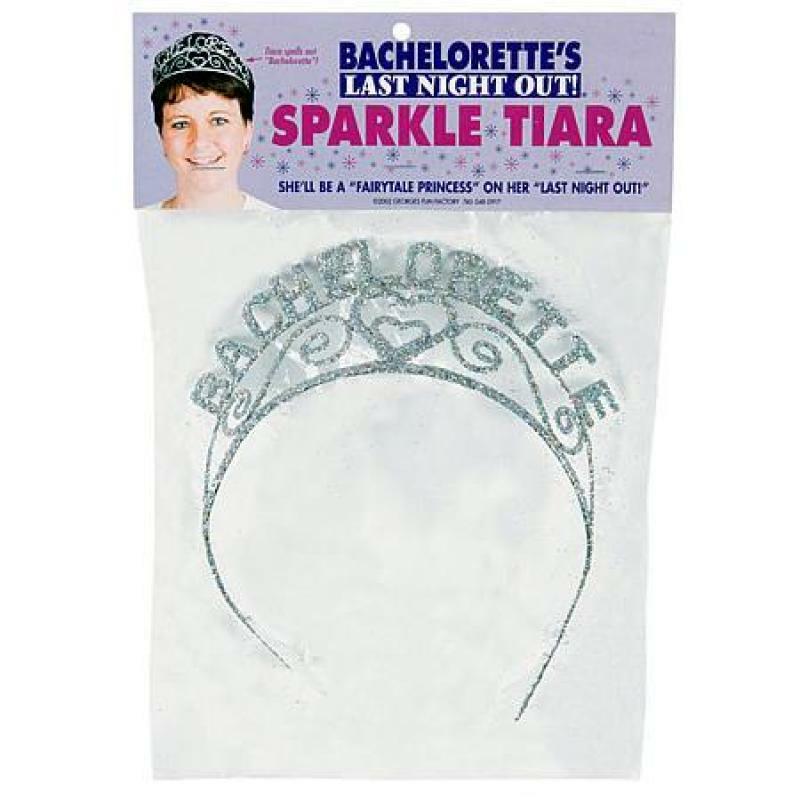 George's Fun Factory. Manufacturing fun. 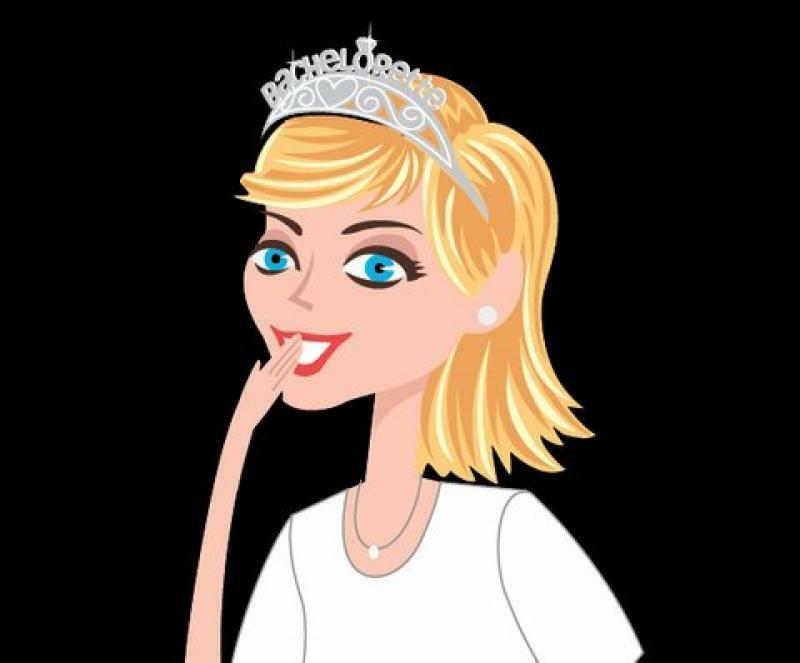 New individual images added July 17, 2011.